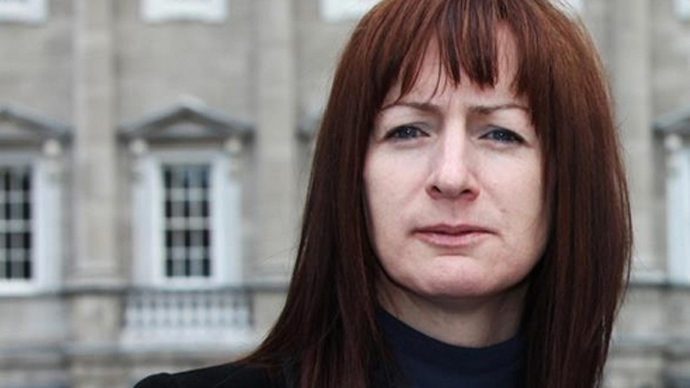 Standing up to one's government is becoming the only way for citizens to stop the spread of Western imperialism and its double standards, said Clare Daly, the now famous Irish MP who lambasted President Obama at Northern Ireland's G8 summit. RT recently interviewed Daly, discussing matters of politics, economics and human rights set against a backdrop of US pressure on the world to comply with its vision. Despite hefty political backlash incurred after the summit for calling Obama a “war criminal,” Daly appeared optimistic that her views were shared by many across the world. She ultimately believes, she said, that it is those people across Europe and America who should scrutinize their politicians and demand greater accountability in foreign affairs and a lesser flexibility to US coercion where matters like war in the Middle East and the fate of whistleblowers are concerned. But she also takes a more encompassing view of things, underlining the suffering of the austerity-ridden Irish. “When Obama visited, [the government] would make no points of criticism, everything was wonderful. We must get American companies into this country to create employment, but the reality is that most of the American companies come to avoid paying their taxes at home and in Ireland, which means it is ordinary people who suffer, and the very wealthy are those who want these companies to benefit,” she said, emphasizing Europe’s economic subservience to the United States. The political and moral implications of this subservience are Daly’s main targets. Ireland, she says, is a neutral country. But that policy loses meaning already at Ireland’s Shannon airport: whether it is the government’s ignoring of planes armed to the teeth, or suspicious cargo that could be anything from arms deliveries for third parties, to prisoners being relayed for rendition by the CIA, there is a relationship of unquestioning submissiveness when it comes to the Irish government and the US. The opposite logic was applied to the rumor of NSA whistleblower Edward Snowden stopping over in Ireland on a commercial flight from Moscow to Cuba, with the Americans sending a provisional arrest warrant to the Irish in the hopes that they would hand him over. Daly herself is a great supporter of Snowden’s struggle and considers him an international hero. And Daly is not surprised with the lax attitude European governments took to Snowden’s revelations about the US spying on the world and its governments. She believes those governments ultimately want the same thing, on the one hand, and on the other – they fear economic and political pressure from the US. The grounding of the Bolivian president’s plane in Vienna and the collusion of every major Western European country in the incident is seen by Daly as a supreme example of this process. Her final conclusion is that ordinary people must not give up the fight for what they believe is right. And that fight must encompass all spheres of life – from economics to politics and to the defense of people and whistleblowers of all kinds – because their governments appear unwilling to take the stance against US hegemony themselves.